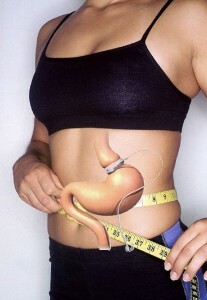 What is a Hypnotic Gastric Band? A Hypnotic Gastric Band is a hypnosis treatment that can help to persuade your subconscious mind that you have been fitted with a gastric band. It encourages your mind to allow your body to behave exactly as if a real gastric band was actually in place. Only a much smaller appetite and a feeling of being full much, much sooner! This will give you a whole new approach to eating and food. Our Hypnotic Gastric band treatment is safe, risk free and a much cheaper alternative to conventional Gastric Band Surgery. Our Hypnotic Gastric Band therapy will help your change your eating habits permanently! If you are truly committed to losing weight and changing your life forever then our Hypnotic Gastric Band treatments will help you to achieve your ambitions. Your treatment will consist of 3 visits. Visit 1. – Your initial consultation and assessment. You will discuss your current situation and your future aspirations, plus you will set realistic goals for your future outcomes and discuss the next stages of the treatment ( aprox 30 mins). Visit 2. – Your ‘treatment’ session. This will be your agreed hypnotherapy session during which your subconscious mind will be reprogrammed to believe your body has undergone a surgical gastric band procedure and act as if it has really happened (up to one hour). Visit 3. – Your adjustment session. This is a follow up session to discuss how the procedure is working for you. As with a real gastric band, some adjustment is often needed. Some people find they are now eating too little or still a little too much or maybe they just need a reinforcement session (aprox 30 mins). Why not contact us today for a free, no obligation, discussion. If you only have a little bit of weight to lose or just want some extra motivation to stick to a conventional diet or healthy eating plan, then we can still help you with conventional hypnotherapy and N.L.P. (neuro linguistic programming) sessions. The Hypnotic Gastric Band is recommended for people with a BMI over 25 or who are having more serious problems in losing weight and keeping it off.